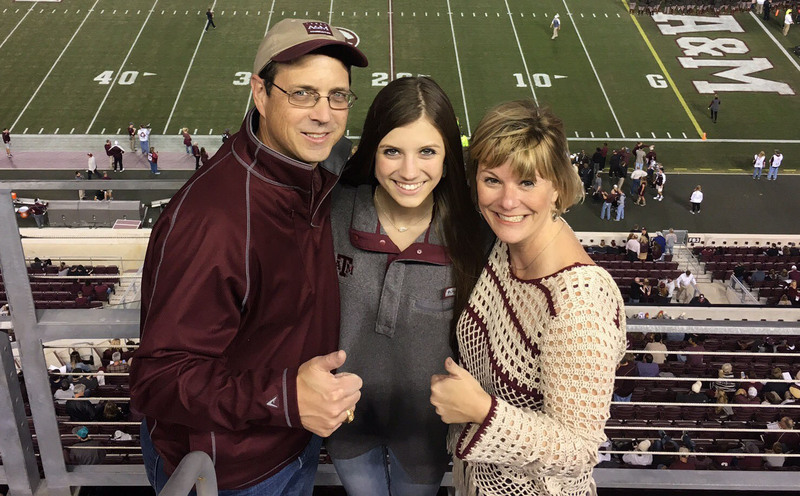 When Amy Bacon ’91 met with the Texas A&M Foundation’s gift planning staff for lunch, she did not foresee leaving with a potential job. She came in to discuss making a planned gift, but the newfound friendship between Bacon and Glenn Pittsford ’72, vice president for gift planning, brought a much different outcome. Amy Bacon '91 with husband, Robert '91 and daughter, Ellie '21. 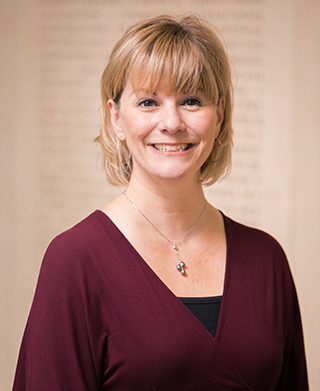 Bacon received her bachelor’s degree in history from Texas A&M in 1991 and was involved with the Memorial Student Center Student Programs Office throughout her undergraduate years. Her passion for fundraising began while serving MSC Development, which solicits former students for gifts to support the 24 committees housed in the MSC. In 2014, Bacon and her husband Robert ’91 honored Robert’s father with a gift in his memory. Graham R. Bacon ’55 graduated from Texas A&M with a degree in chemical engineering and passed away in 2003 after battling cancer. His two sons, Robert and Graham W. Bacon ’85 followed in his footsteps, majoring in chemical engineering and establishing successful careers after graduation. The gift was created using a matching gifts program, with help from ExxonMobil and Enterprise Products. Through her dedication to Texas A&M and her continued support of its past, present and future, Bacon makes a measurable impact on the university and spreads a wealth of knowledge, experience and passion to every person she meets. “My dream job has always been to work at the Foundation, garnering support for the university that I so deeply love,” she said. “Being a gift planning officer gives me the opportunity to serve Aggies and friends of Texas A&M, tailor planned giving options that may benefit themselves or their loved ones, and impact the university for generations to come. For questions about planned giving, or to say Howdy and welcome her to the team, contact Amy Bacon ’91, Gift Planning Officer, at abacon@txamfoundation.com or (281) 380-1050.